Fish the fabulous gin clear waters of the Florida Keys or the backcountry of the Everglades National Park. 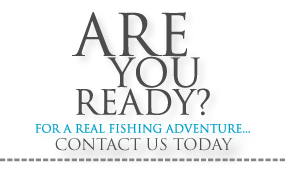 Enjoy a backcountry or inshore fishing adventure, fish for some of our world class Tarpon, or spend a day fun fishing with the kids. Conveniently located at the Post Card Inn Beach Resort and Marina 84001 Overseas Highway in Islamorada, Florida “The Sportfishing Capitol of the World” I specialize in light tackle fishing for Tarpon, Snook, Redfish, Seatrout, Snapper, Sharks and many other species. The backcountry and inshore fishing in the Florida Keys and the Everglades National Park is some of the best South Florida has to offer. I am currently fishing out of a 22ft Angler bay boat which provides a comfortable and safe fishing platform for up to 4 anglers. I have recently added a 36 volt trolling motor system thats allows me to access some great fishing in the Everglades National Park pole/troll only areas. The boat is equipped with quality light spinning and conventional fishing tackle. All licenses, bait and tackle are included. Staying in the Florida Keys or the Miami area? There are plenty of angling challenges awaiting you. Whether it’s light tackle fishing for giant Tarpon or sharks, fishing in the backcountry for Redfish and Snook, or fun fishing with the family or friends from novice to expert there is a type of fish or fishing to make your charter a memorable experience. When you are in the Florida Keys why not book your charter with Fin Hunter Charters and take that light tackle fishing trip you have always dreamt about. Remember Novice and Junior anglers are always welcome! Contact us for more info. For the most recent fishing photos visit my Facebook page.